The baddest of the Stop Tech big stoppers for the 1993-1998 Supra Turbo!! 6 piston billet calipers, coupled to a state of the art THICK rotor, all parts, all pads, all braided brake lines. 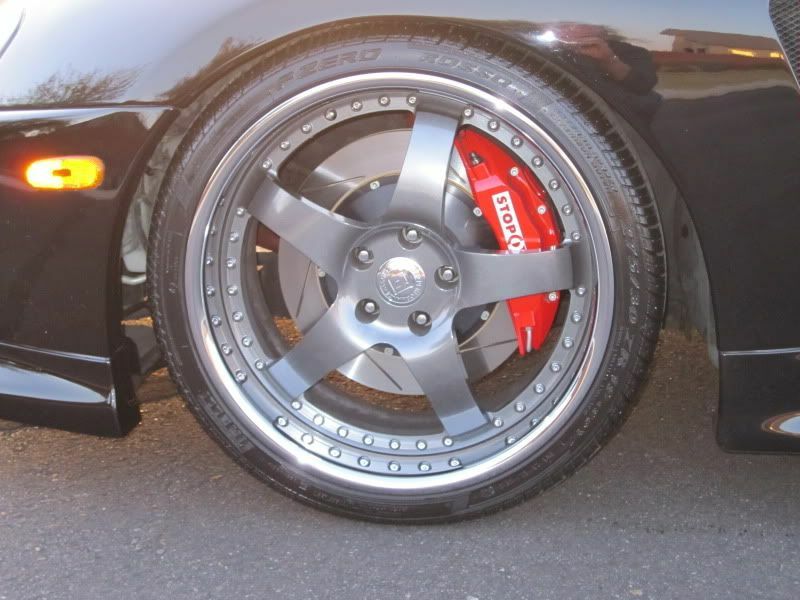 Incredible stopping power over the factory brakes, no fade, ridiculously great looking on the Supra! 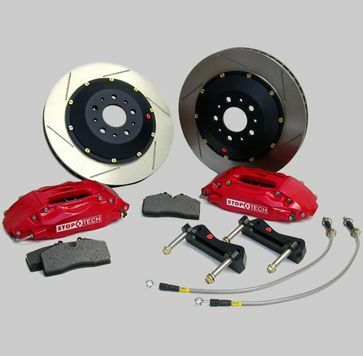 This kit is the front big brake upgrade featuring 355x32mm floating directional rotors with 7075 T6 Billet Aluminum hats, ST60 six piston high performance calipers, front stainless steel DOT compliant brake lines, and AXXIS Ultimate brake pads. This kit requires 18 inch wheels. 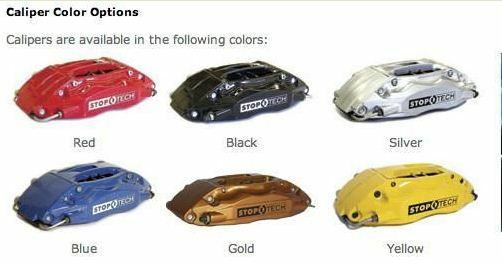 Our ST60 Supra Stop Tech 355mm big brake kit can also be sold with optional brake pads from WORLD CLASS providers, so you are not limited in your selection. When you are buying from SupraStore.com, you are not just shopping for the cheapest price, but we run what we sell, we know what we sell. Check ANY of our competitors and see if they even list the pads we have below.